Plus One Manufacturing Industries produces its own stand-alone line of products for ranches and other commercial agriculture operations. In addition to our large in-stock inventory near Valentine, Plus One is proud to offer the capacity to produce custom products and provides a large inventory of raw materials and components to meet our customer's needs. For more information about any of our products please contact us at 402-376-1981. The Plus One Manufacturing Bale Cradle is a bale feeder that does more than just feed bales; it saves you money! The Bale Cradle pays for itself in only one winter, after that it makes you money! It is not just another expense, it is an investment. 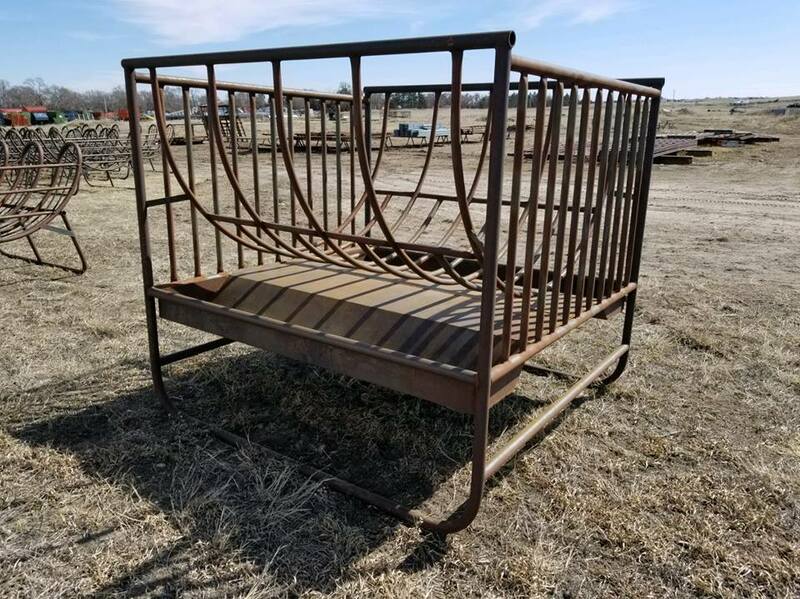 ​Our feed bunks are constructed of 14 gauge steel, and the legs are made from heavy PIPE. These bunks will last for years and years! ​These gates are the best in the world, and they are affordable too! Gates measure 3.0” shorter than advertised "hole" size. Our gates have notched joints, which are significantly stronger than pinched joints. 1.9” 14 gauge structural tubing for bars and uprights. 1.9” O.D. pipe for the ends. ​Hinges are large diameter, thick, sleeves. They turn easier, last longer, and are much stronger than other types of hinges. ​ You can use the ultra heavy duty ‘all thread’ hinges for wood posts, or you can use the special weld on hinges for steel posts. Chain latch is made of 1/4” plate and fits a 1/4” chain. It is strong, sure-locking, and easy to use. It is standard on all gates, as is 18" of chain. Available in sizes from less than 4’ long up to 20’. Longer gates are available, though we recommend using two shorter gates or using a bi-folding gate in holes longer than 20’. Pre-hung gates are perfect for portable corrals or for permanent locations too! Just chain or bolt it to a post; no need to spend time hanging a gate. Our Cowboy latch is standard on all Plus One pre-hung gates. Our pre-hung gates' frames are strong & rigid, made of heavy 1.9" O.D. pipe. 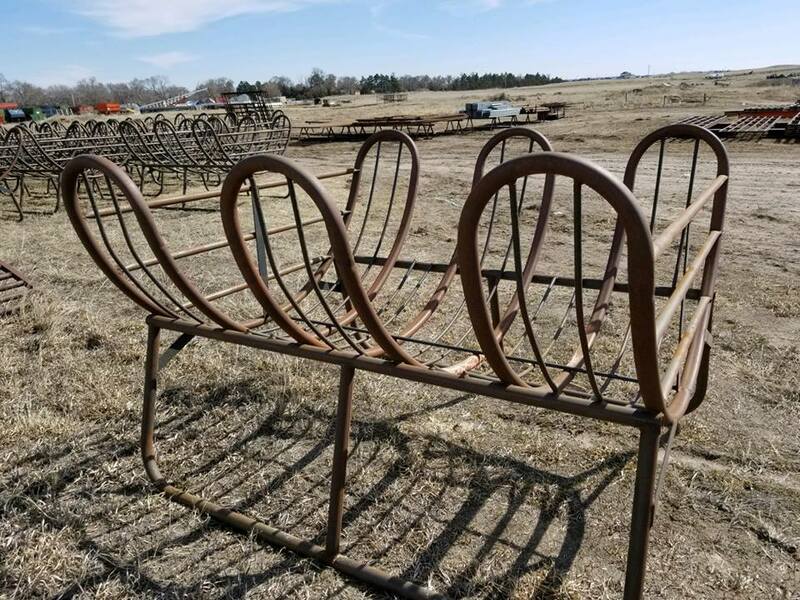 These frames are 8’6” tall with loops on the end for easy connecting to portable panels. Invented by Nebraska cowboys to make riding through gates on horseback much easier, it is as easy to use from horseback as it is on foot. It is safe, strong, easy to install, and will last a lifetime. Try one and you will never use anything else! Safe: The smooth curve of the latch mechanism means that horses and cows won't be injured if they hit the end of the gate. Strong: Constructed of 5/8” cold roll steel rod. Simple: Just pull the chain to open, let go and gravity closes the latch. No springs to wear out and only one moving part. Forgiving: with the real cowboy latch, you don’t have to have the gate lined up perfectly with the latch post as you do with other latches; in fact, you don’t even have to be close! ​The design of the cowboy latch means that you have nearly 6 inches of tolerance - yes 6 inches! So if your gate sags, the latch will still work! ​Our Portable Panels are manufactured in a durable, 7-bar construction fabricated from solid 1.25" 14 gauge steel tubing. 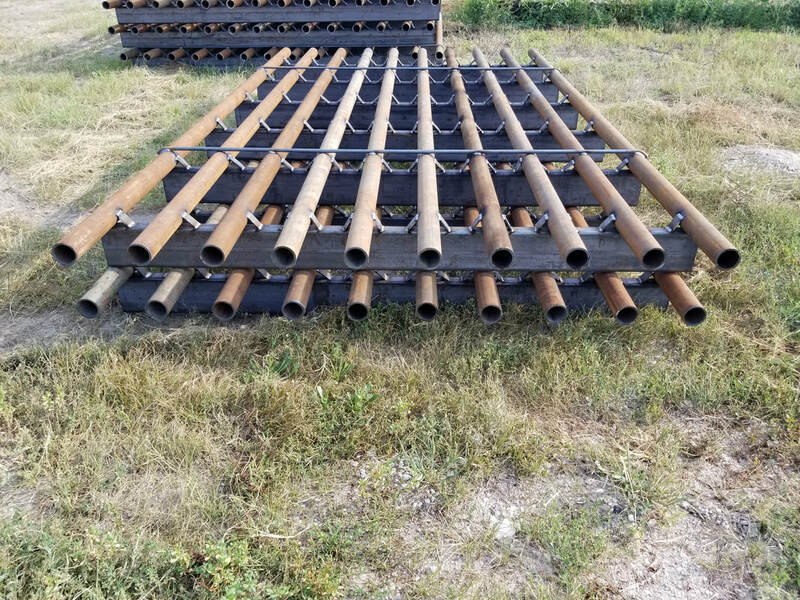 We stock 10', 12', and 14' lengths. Heavy-duty panels can be ordered in 1.9" material. Need a taller Deer Panel? Heights and lengths can be customized to order! Heavy ears & rods allow for solid & simple setup. If you need to replace an existing windbreak, or if you want a windbreak that you can move quickly and easily, then the Plus One windbreaks are an excellent choice. Our windbreaks are easy to install, as well as take down. In addition, our design protects more cows than traditional solid windbreaks. Panels are connected with a pin, just like portable corral panels, making them easy to install or take down. Panels are self-supporting and only need light posts on the end for portable windbreaks. This windbreak will out-perform any similar windbreak anywhere. For effectiveness, economy, and quality, there is nothing better! 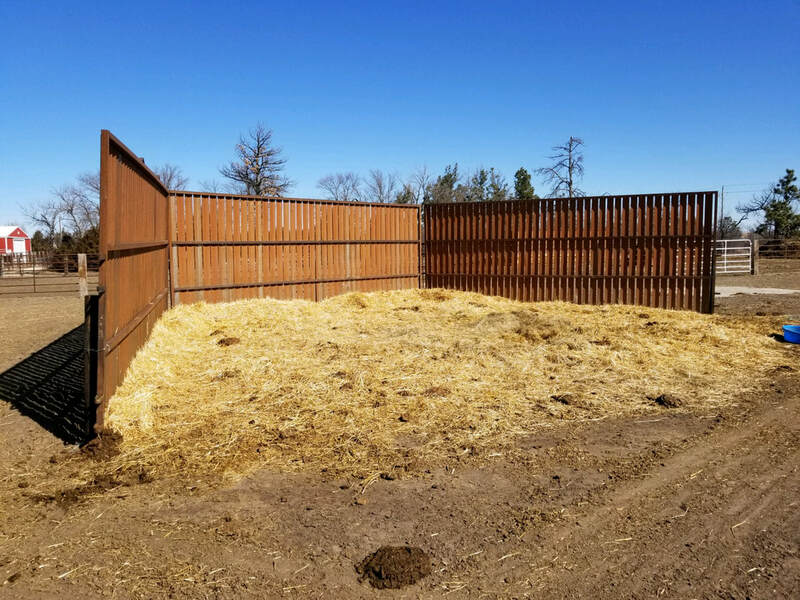 Our design maximizes the amount of animals that are protected providing an area three times larger than standard solid windbreaks. In addition to being a better windbreak, it is a better drift fence too. In a blizzard, the snow piles up behind solid windbreaks, but the Plus One windbreak pushes the drift out from the fence line, creating a shallower and less severe drift. The Plus One windbreak is as easy to install as a permanent windbreak, or it can be used as a quickly movable, portable windbreak. 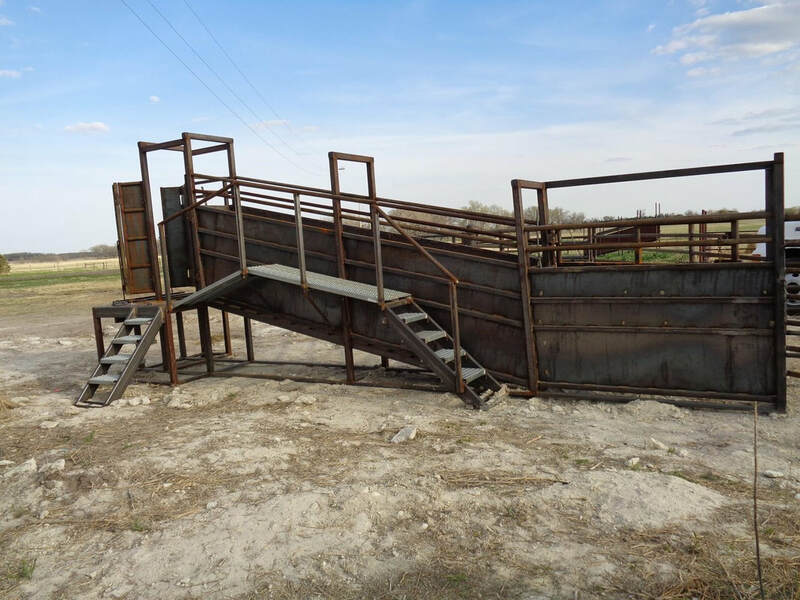 Reliability, durability, and safety are essential factors to consider when purchasing loading chutes for cattle. 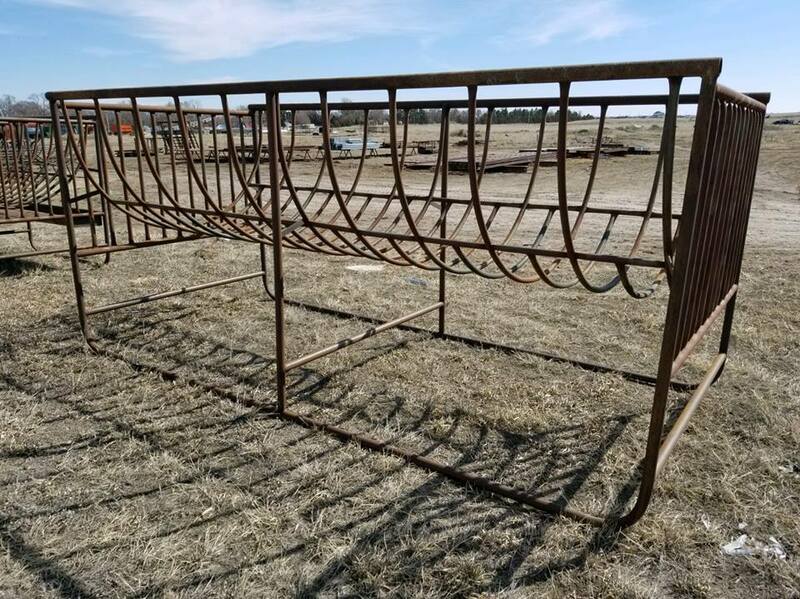 Plus One Manufacturing is your source for rugged, solidly constructed cattle-loading chutes that make the challenging job of livestock handling so much faster, easier, and safer. We have specifically designed our chutes to increase animal welfare and security and to help you achieve your profitability goals. Our chutes have fully sheeted sides that keep your cattle herd flowing smoothly as they navigate their way from chute to trailer. ​Our fly rub stands are a simple and economical answer to your fly control problems. They are built with a wide base to keep them from tipping and they have loops welded on one end so you can easily drag them from one location to another. Or pull it under the shade tree and instead of a fly sock, hang a hammock. Finally, a windmill tower with a big platform on top! ​An excellent solution for protecting your water source! Available with or without guard-wings. ​Our jigs allow us to efficiently construct autogates of various dimensions. Notice the optional guard-rods to help protect your gate & equipment when blading the road. Optional side guards and/or heavy posts can also be built into the gate.